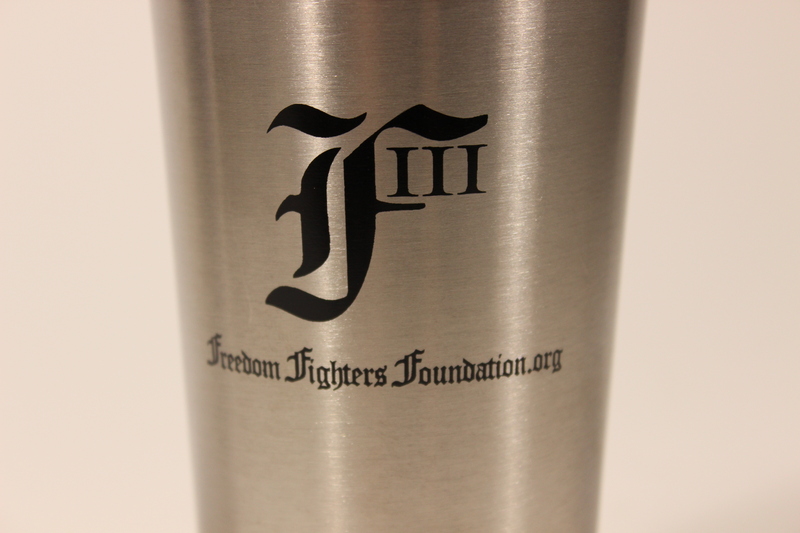 This F3 travel mug is sure to be a hit in your office! 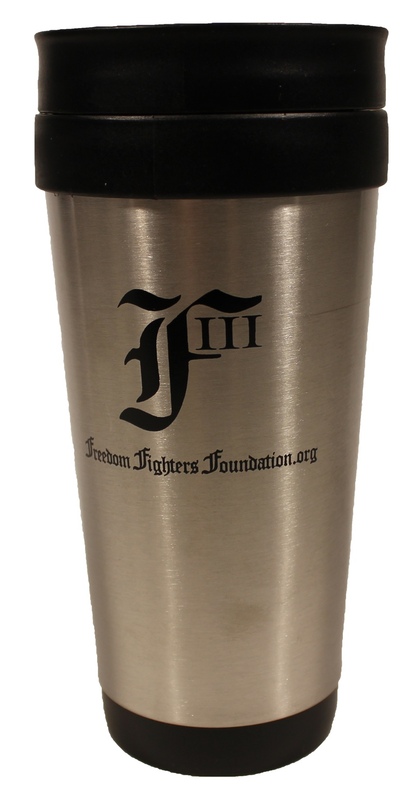 Drink your morning joe in Constitutionalist style with the official Freedom Fighters Foundation travel mug. 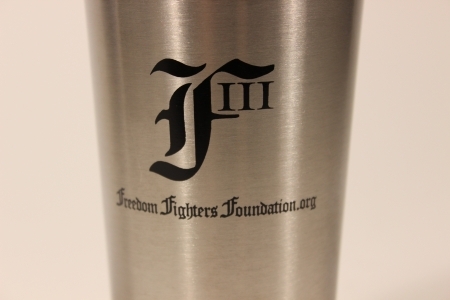 Nothing says you support the Constitution more than brandishing your F3 travel mug in the office or anywhere you travel. 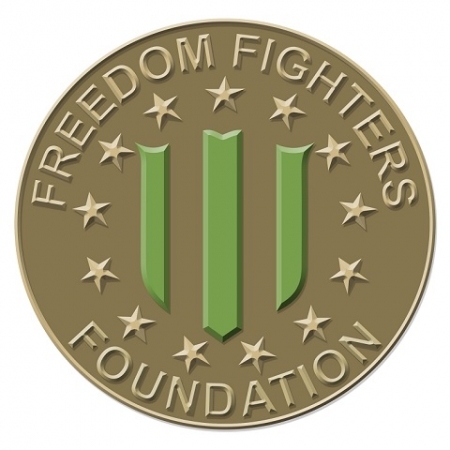 If you are a travel mug collector or a Freedom Fighter, be sure to pick up the travel mug that the staff here at the Freedom Fighters Foundation uses on daily basis! 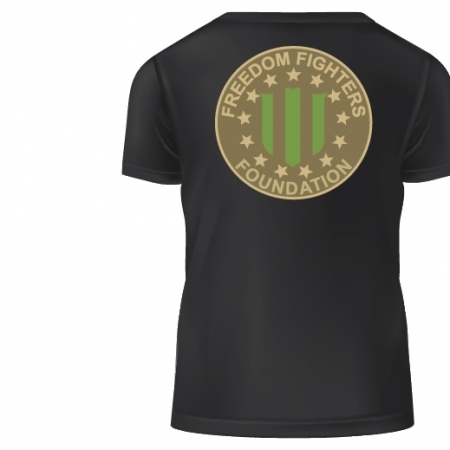 Details: 16 oz. 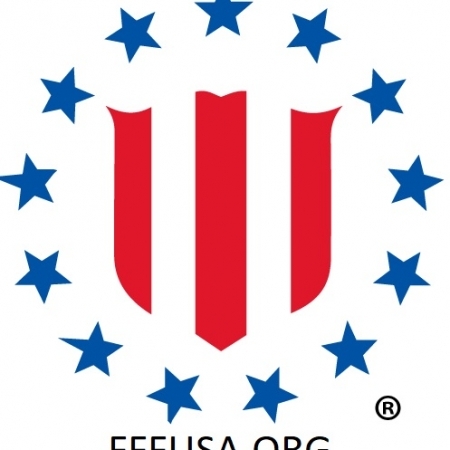 double wall constructed travel mug features a plastic interior, a stainless steel exterior and a spill-resistant lock-top lid.